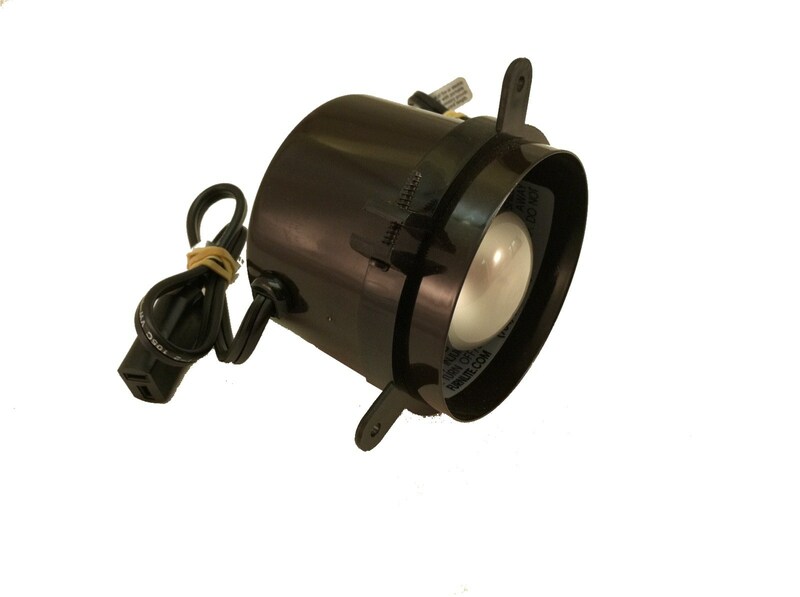 Fixture has two louvered vents and houses a 40 watt incandescent bulb with a standard medium base. Canister is constructed of drawn steel, 3-1/4" diameter with a black powder coated finish. Adjustable plastic mounting ring is mounted 3/4" up. Installation hole of 3-3/8" diameter is required. Fixture is to be installed from the top and is secured with three screws through the mounting ring. The wires exit the side of the canister and are secured with wire bushings. Each fixture can be connected in a series of up to six lights using a 30" male, and the 30" female non-typical "T"-blade connectors. Select from any switch in the "Light Controls" section.